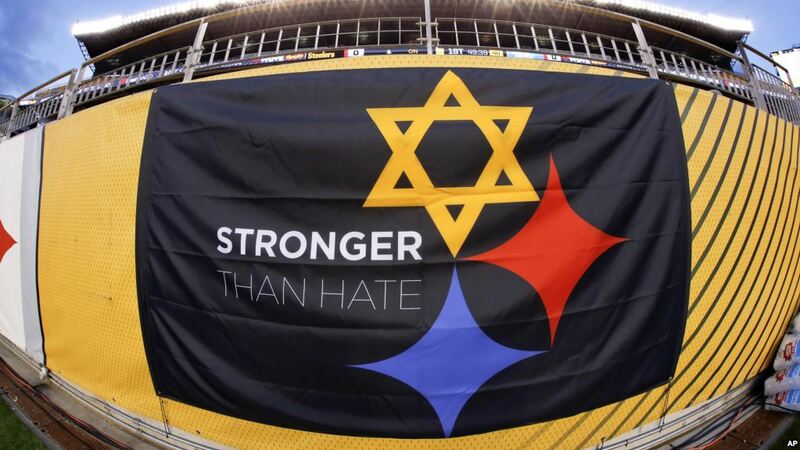 A “Stronger Than Hate” banner is displayed on the sidelines before an NFL Football game, Nov. 8, 2018, at Heinz Field in Pittsburgh. It’s a memorial to the 11 people killed in a synagogue on Oct. 27, 2018. Reported hate crimes in America rose 17 percent last year, the third consecutive year that such crimes increased, according to newly released FBI data that showed an even larger increase in anti-Semitic attacks. Law enforcement agencies reported that 7,175 hate crimes occurred in 2017, up from 6,121 in 2016. That increase was fueled in part by more police departments reporting hate crime data to the FBI, but overall there is still a large number of departments that report no hate crimes to the federal database. The sharp increase in hate crimes in 2017 came even as overall violent crime in America fell slightly, by 0.2 percent, after increases in 2015 and 2016. More than half of hate crimes, about 3 out of every 5, targeted a person’s race or ethnicity, while about 1 out of 5 targeted their religion. Of the more than 7,000 incidents reported last year, 2,013 targeted black Americans, while 938 targeted Jewish Americans. Incidents targeting people for their sexual orientation accounted for 1,130 hate crimes, according to the FBI. The FBI has urged local police departments to provide more complete information about hate crimes in their jurisdictions. Of the more than 7,000 hate crime incidents in 2017, more than 4,000 were crimes against people, ranging from threats and intimidation to assault, to murder. 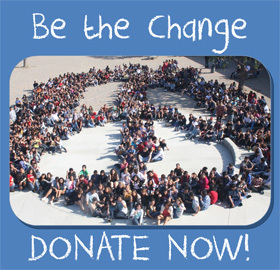 More than 3,000 were crimes against property, ranging from vandalism to robbery to arson. Whitaker said he was “particularly troubled by the increase in anti-Semitic hate crimes,” which are already the most common type of religious hate crime in the United States. Anti-Semitic hate crimes rose 37 percent in 2017. Anti-Islamic hate crimes declined 11 percent last year, with 273 such incidents, the data show. The new FBI data comes less than a month after the worst anti-Semitic attack in U.S. history — a shooting at a Pittsburgh synagogue that killed 11 and wounded six. The suspect in that attack has been charged with dozens of federal hate crimes, and that one incident alone accounted for nearly as many hate crime killings as were recorded all of last year in the United States: 15.